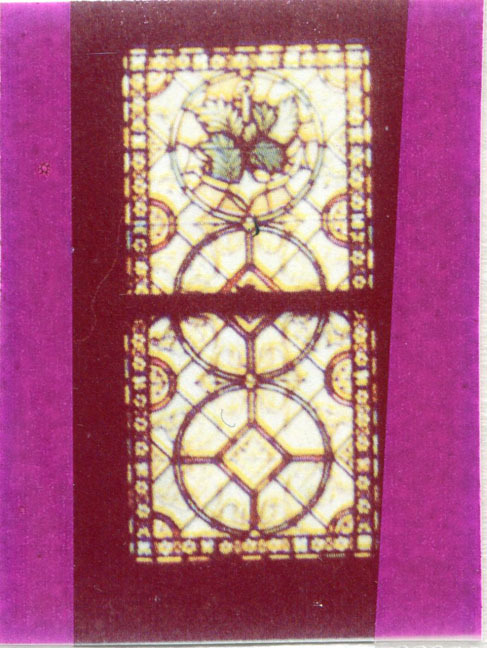 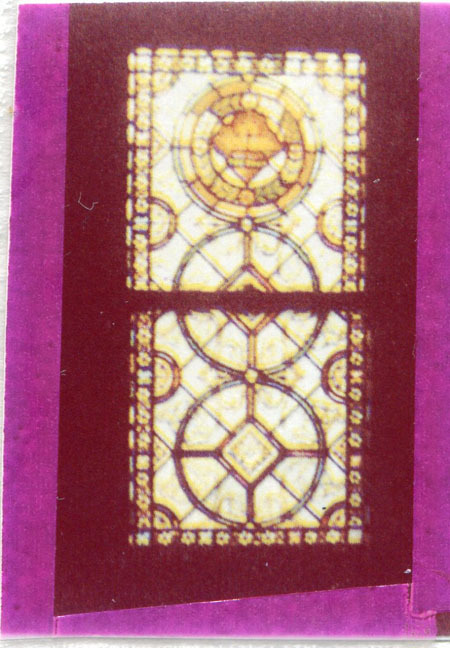 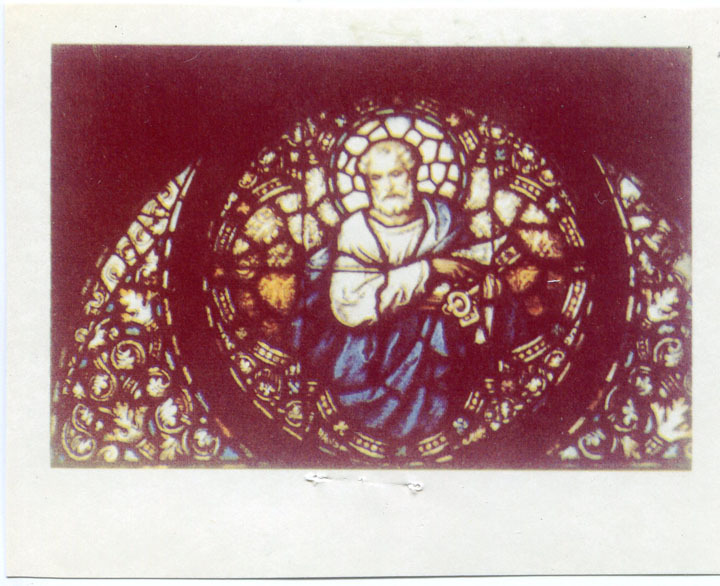 Description: The Tyrolese Art Glass Co. (Tiroler Glasmalerei und Mosaik-Anstalt)provided many windows for the American market from the late 1870s until the beginning of World War I. 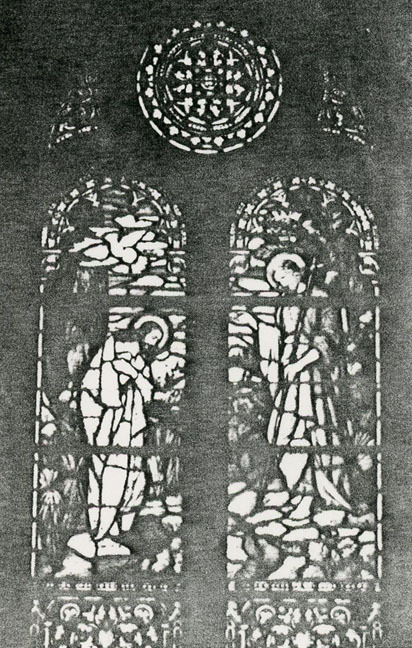 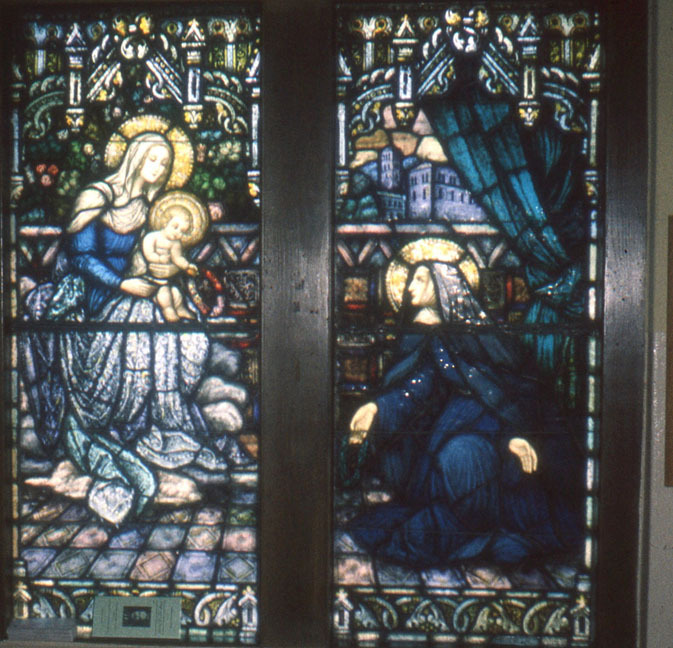 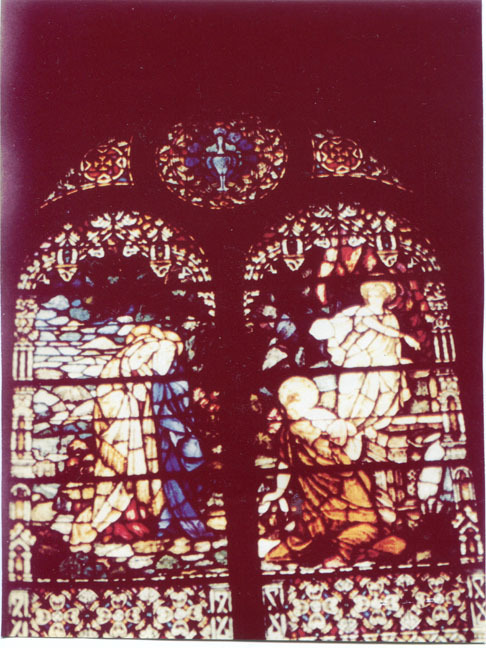 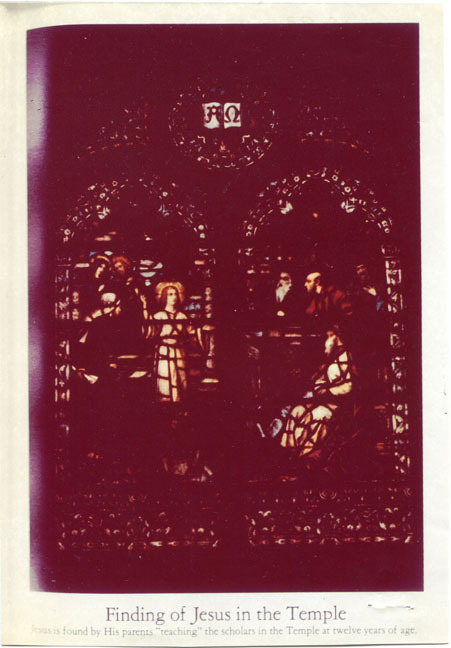 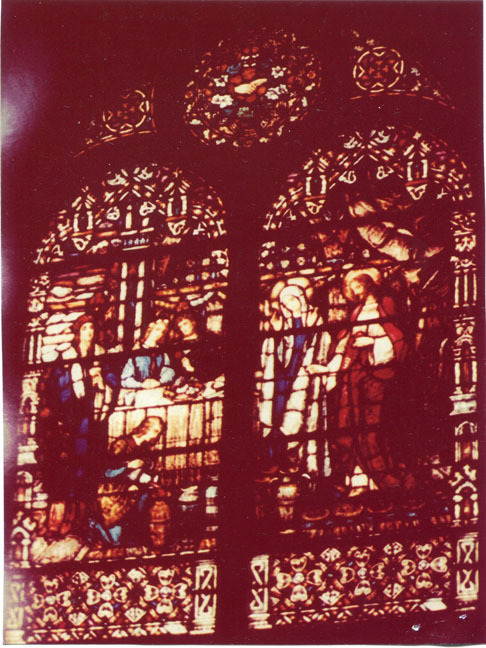 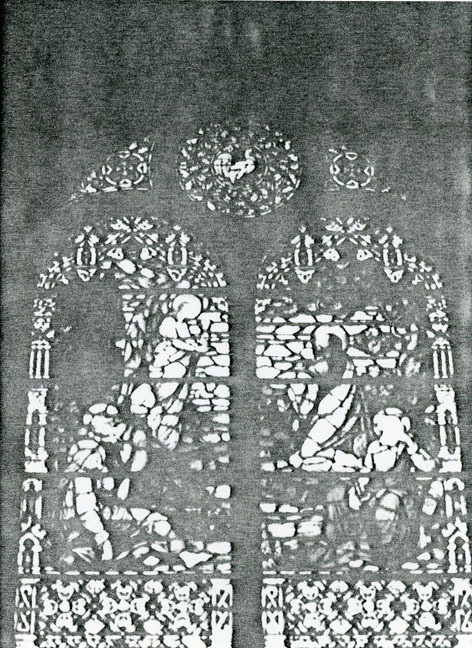 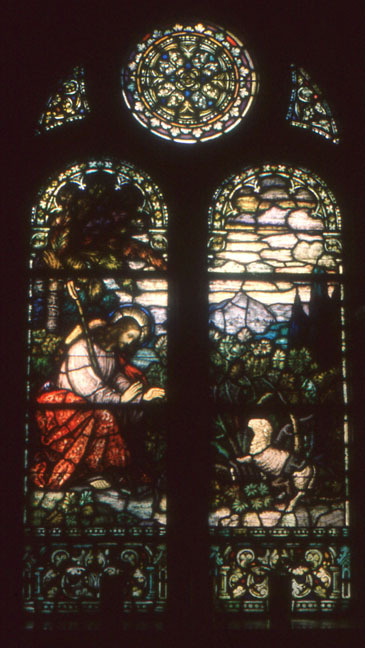 Their windows employed the painterly "Munich Style" associated with studios such as those of Franz Mayer and F.X. 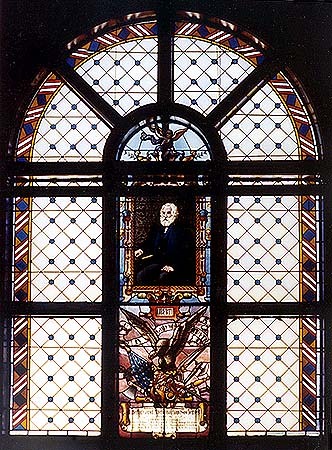 Zettler in Munich. 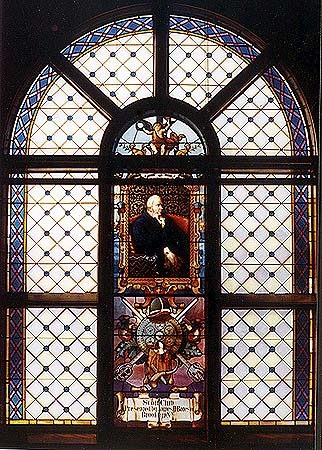 At one time the firm maintained offices in New York and Chicago, to handle its American trade. 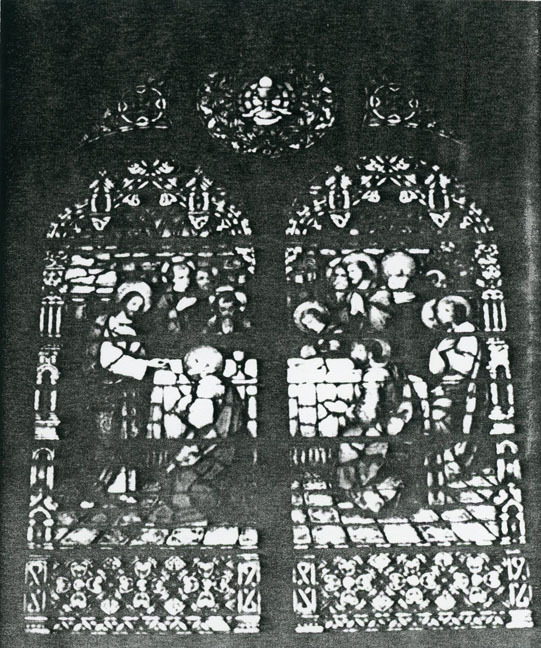 It continues at Innsbruck today, under the direction of Konrad Mader, a descendant of one of its founders. 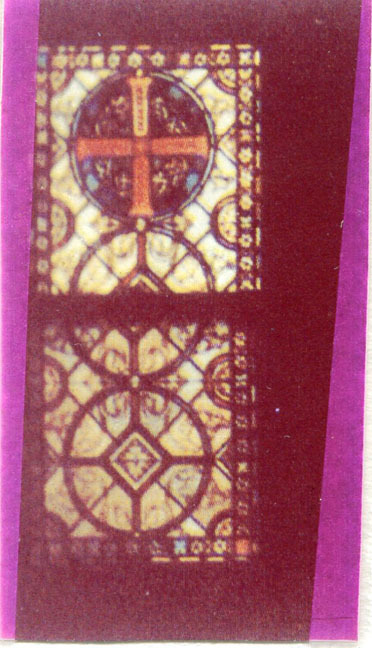 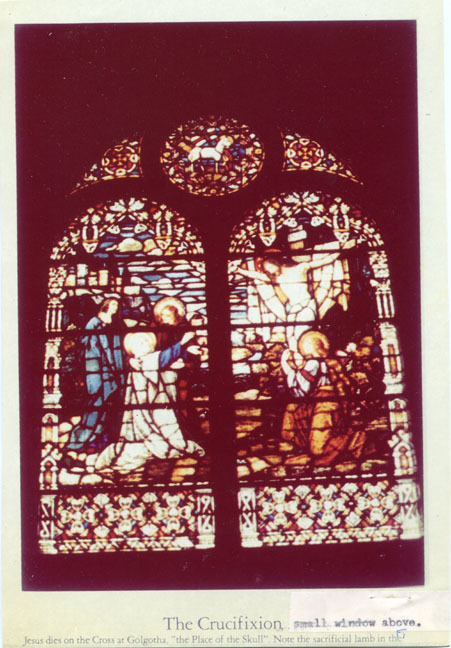 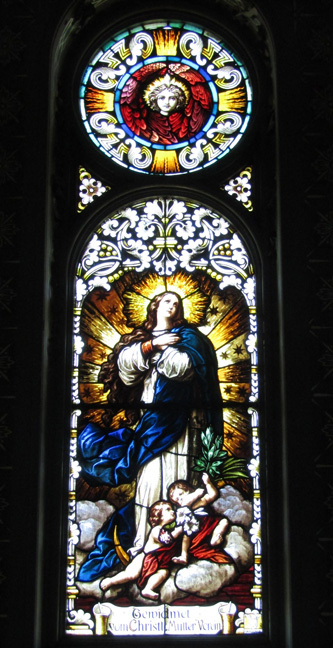 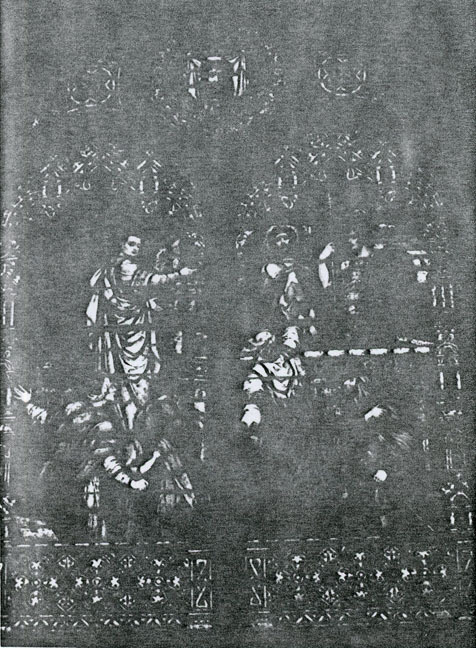 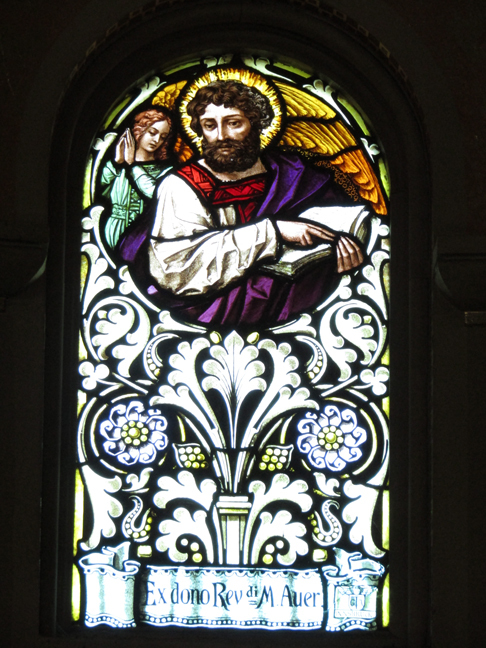 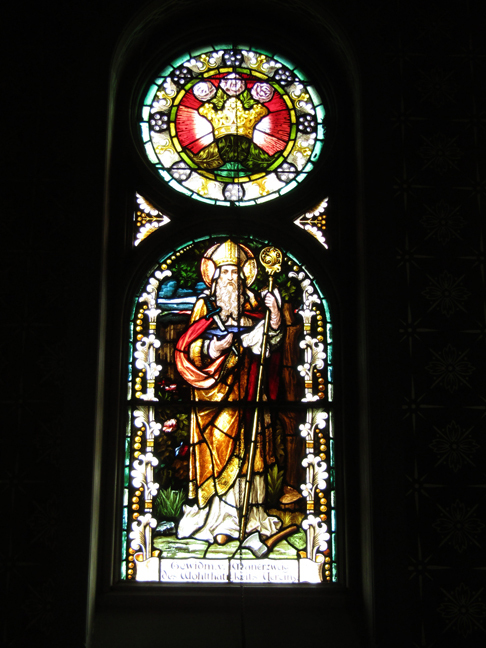 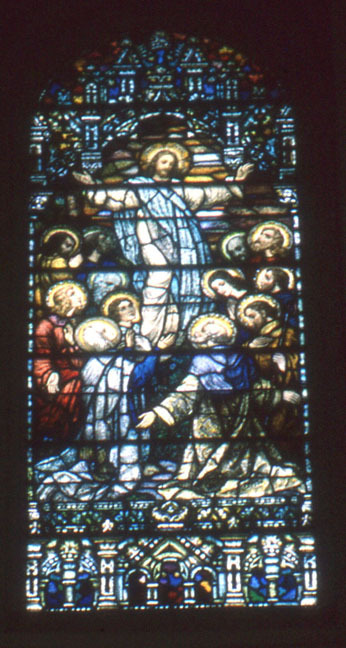 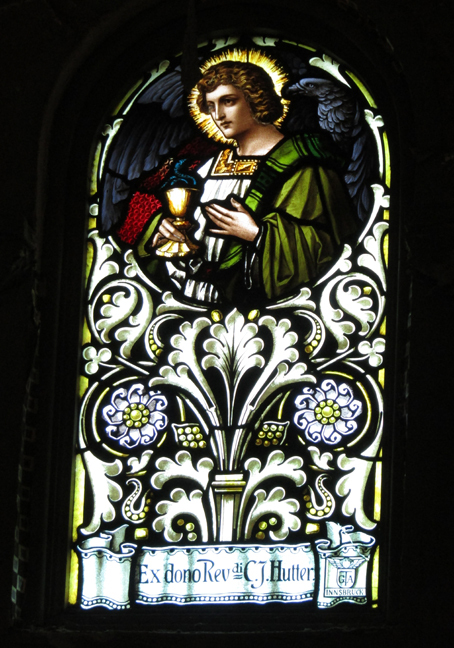 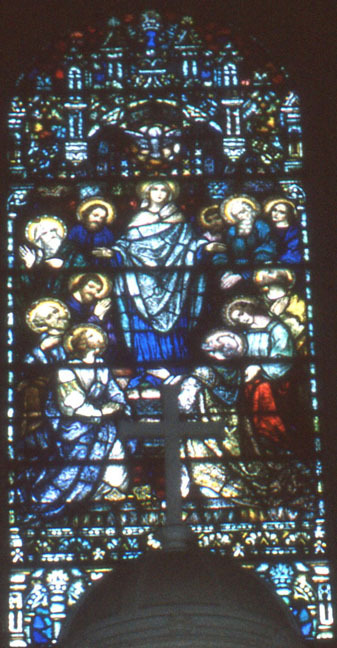 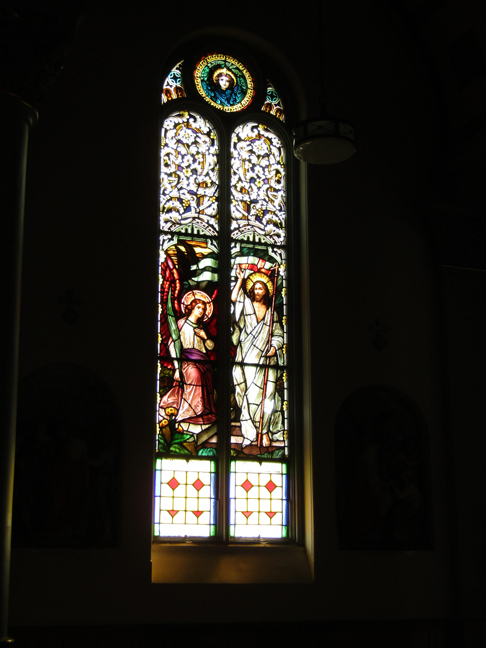 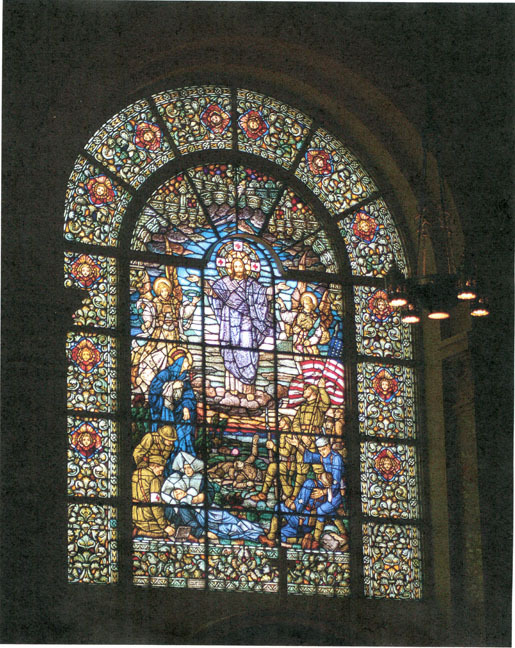 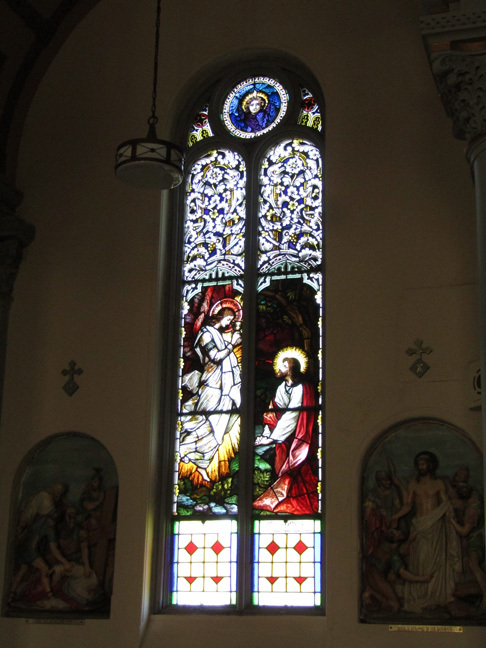 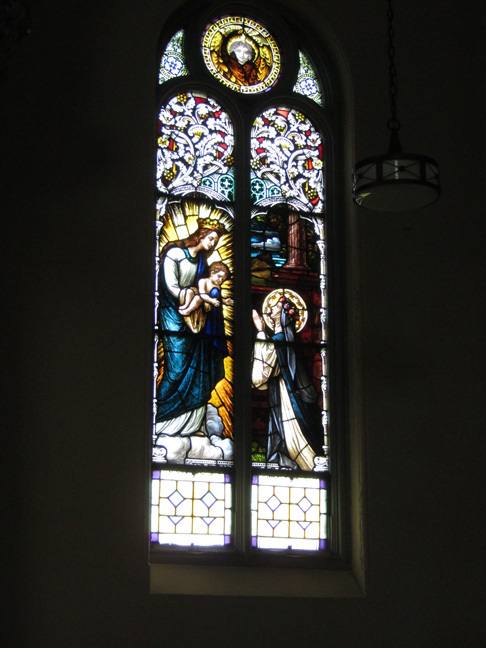 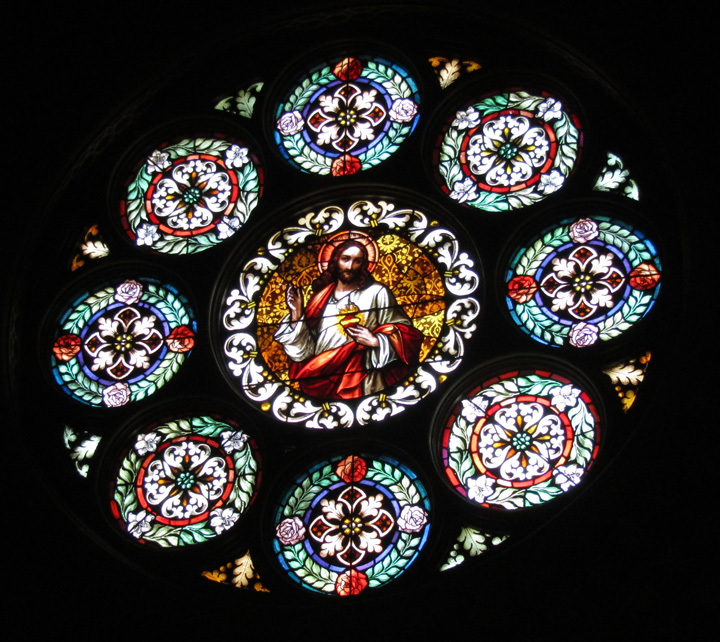 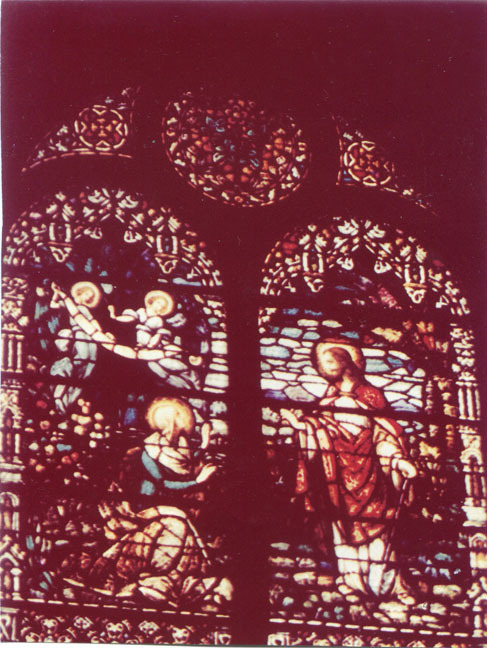 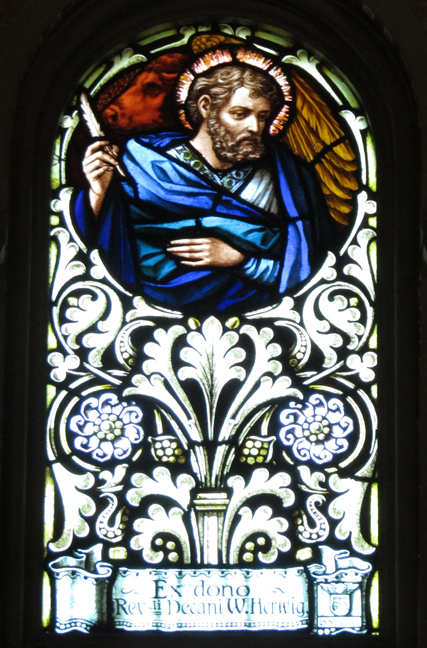 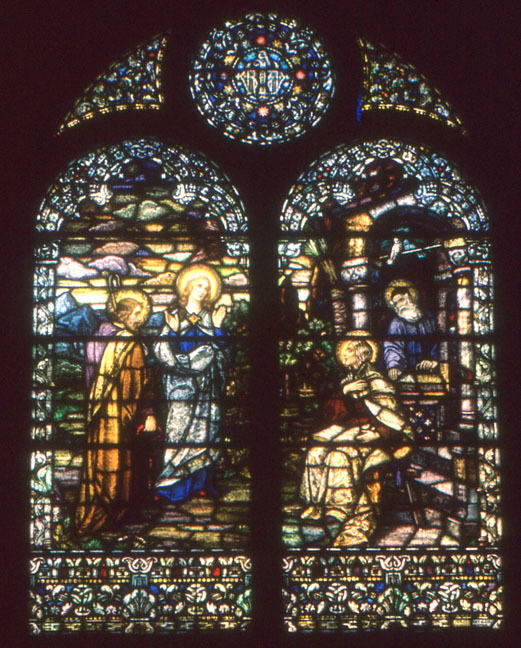 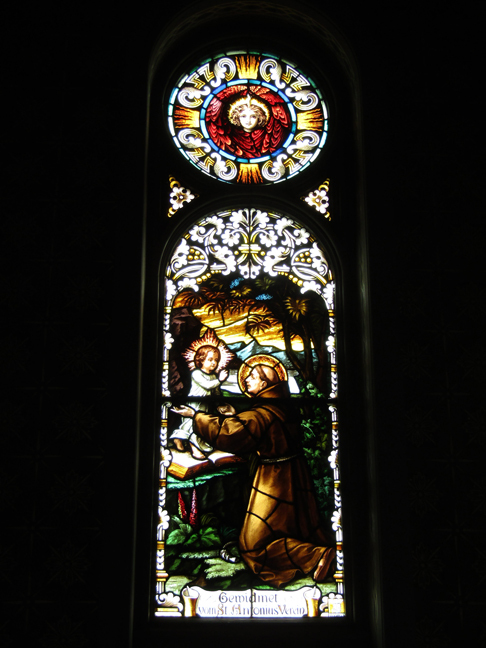 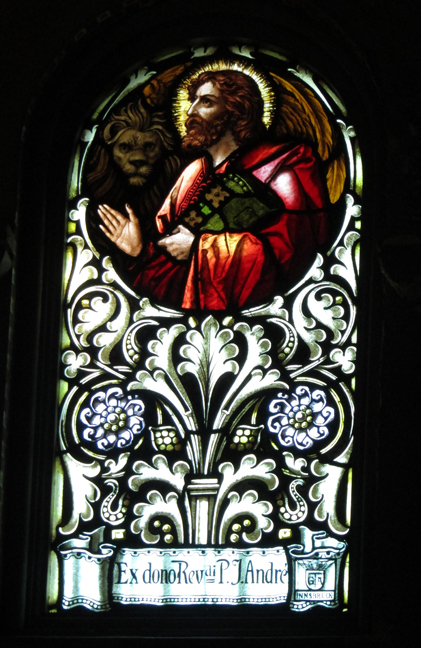 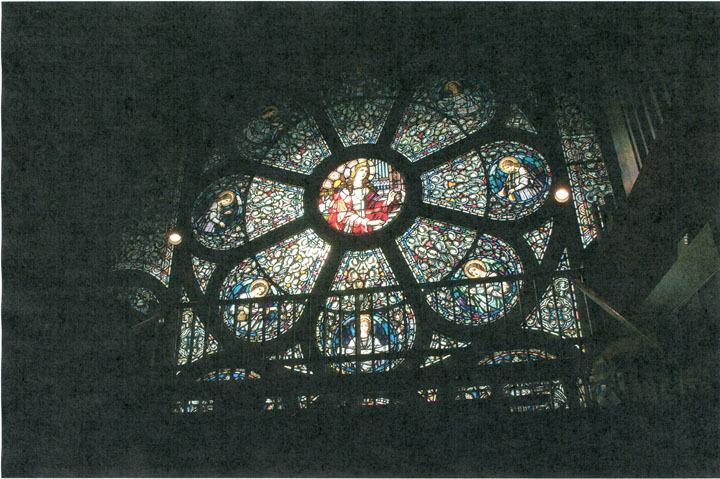 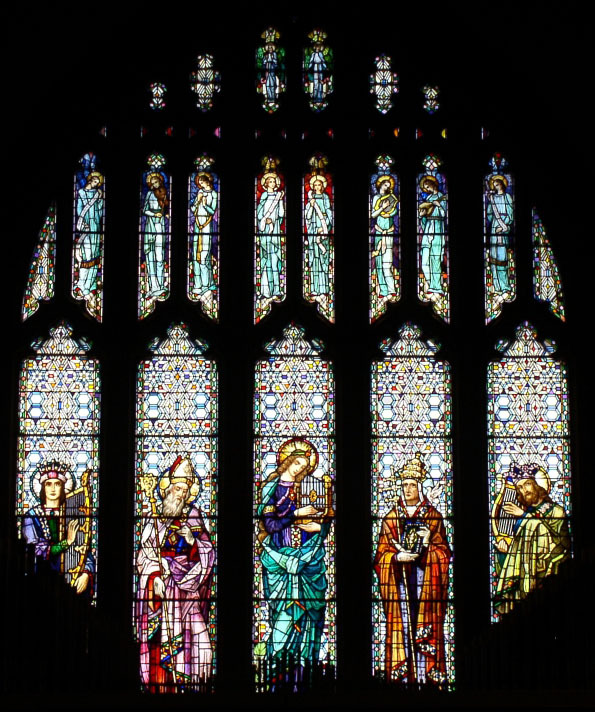 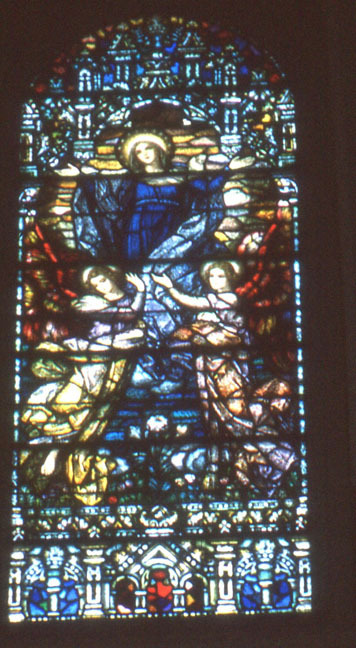 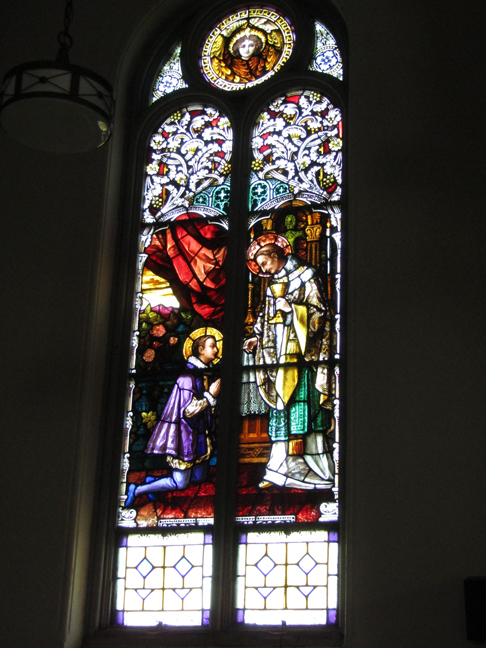 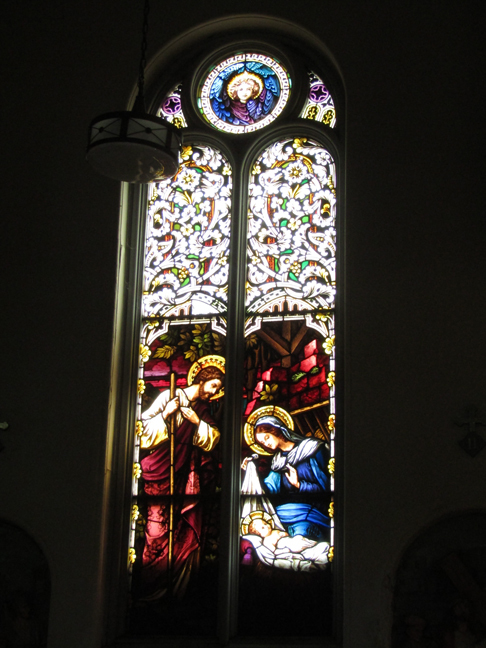 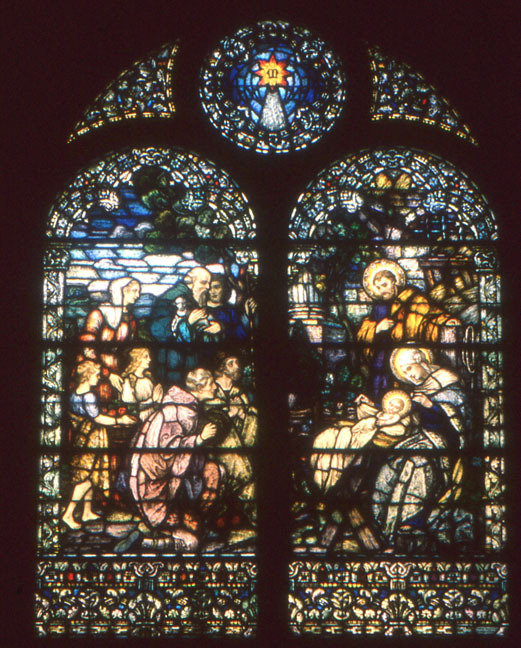 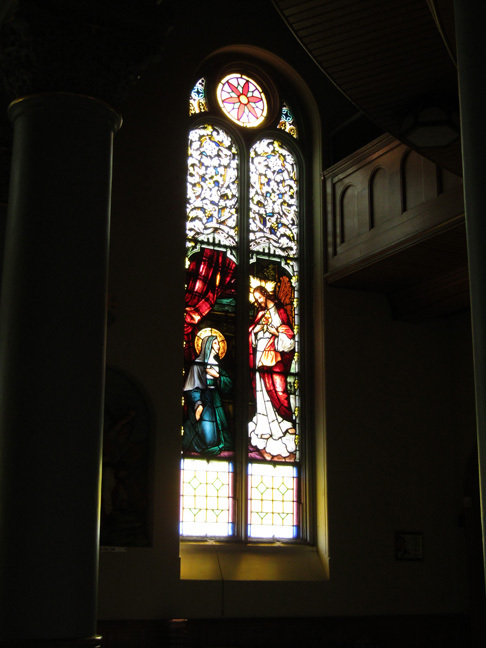 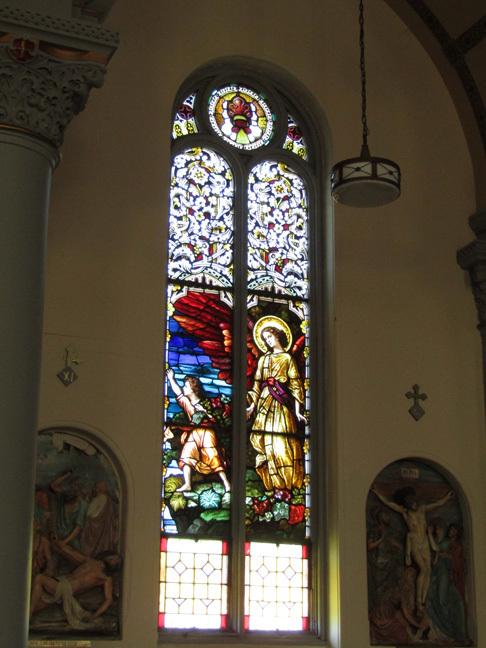 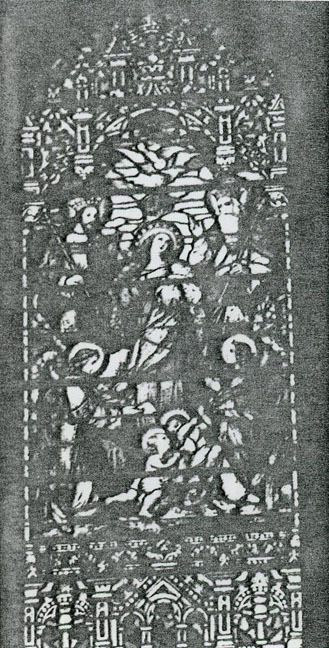 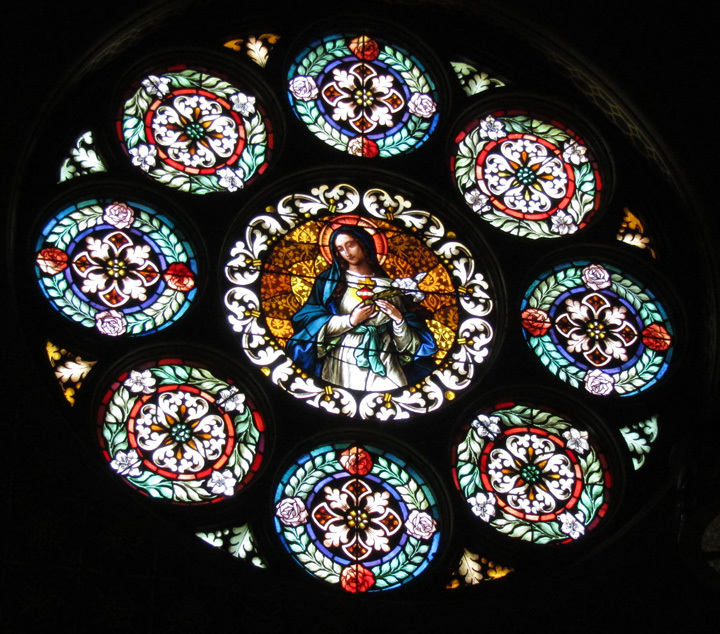 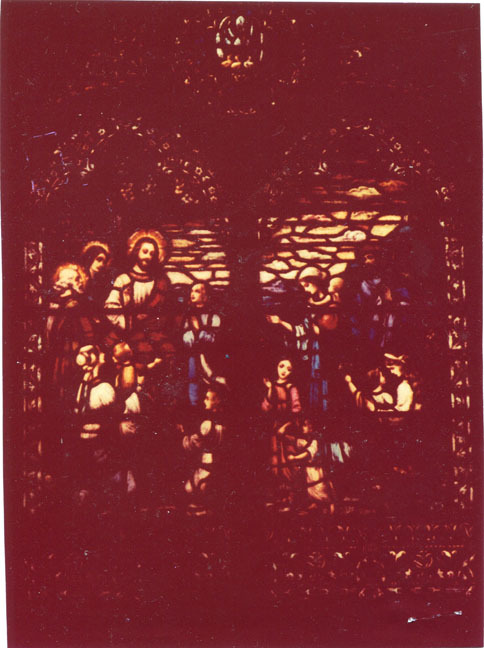 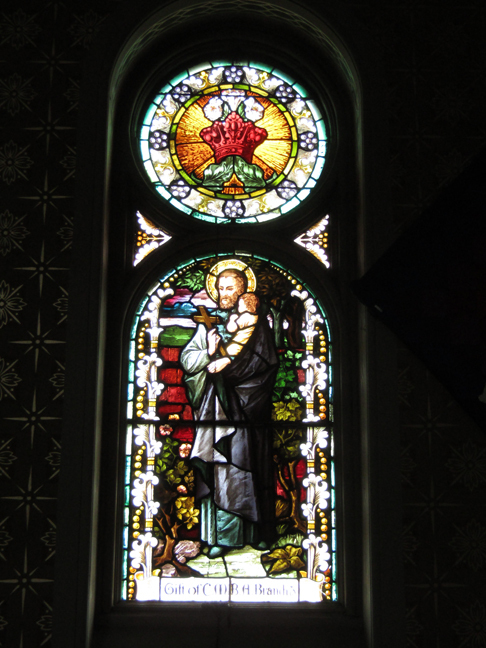 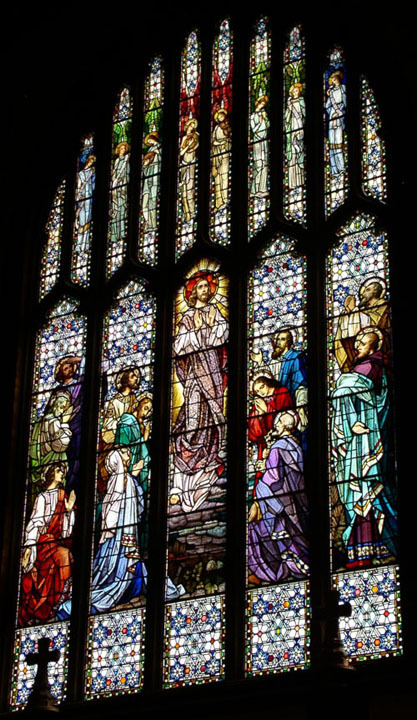 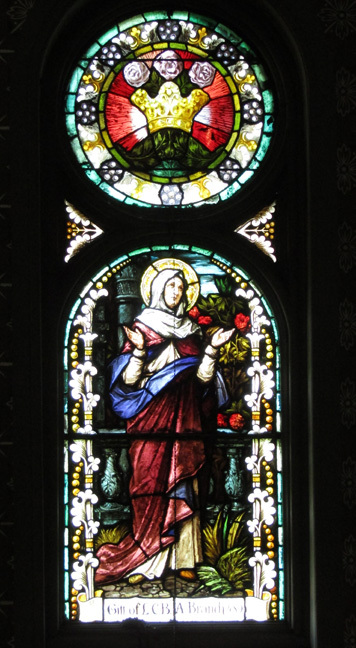 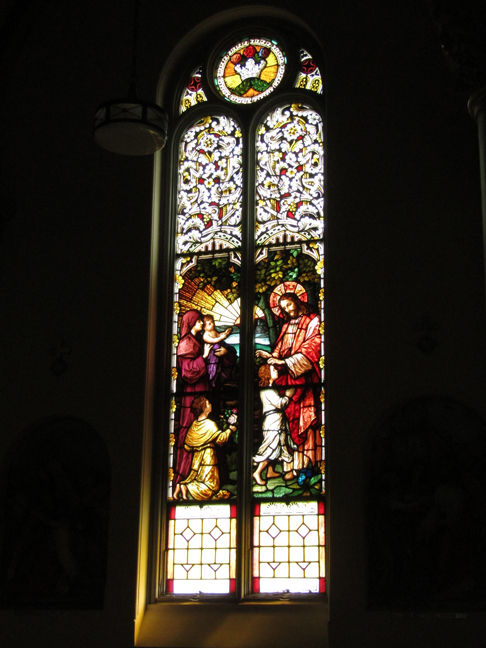 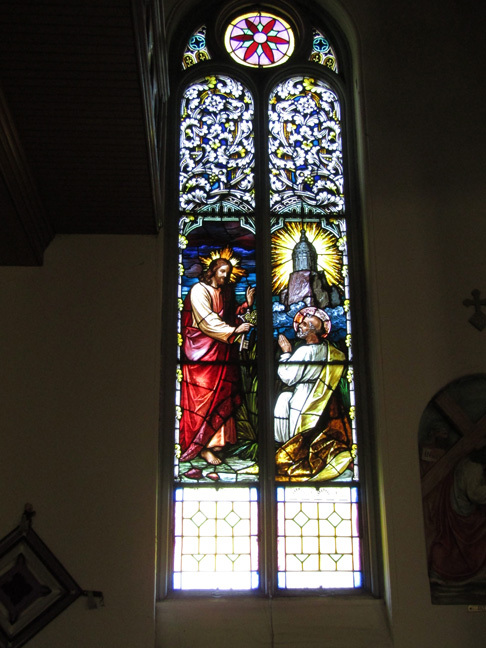 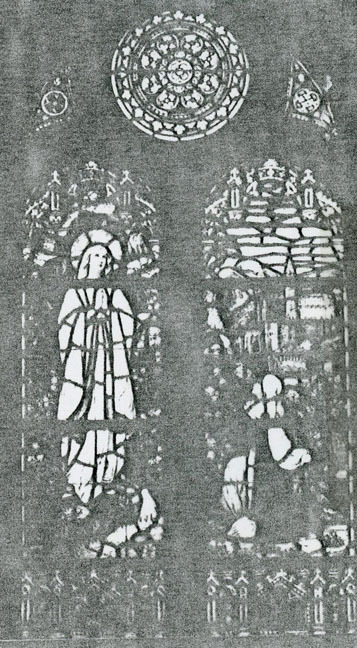 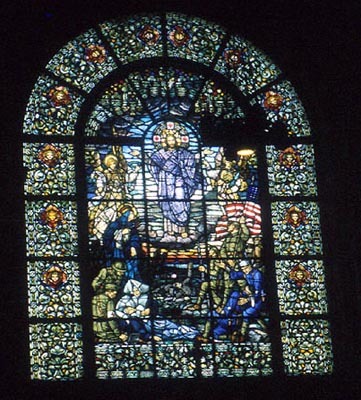 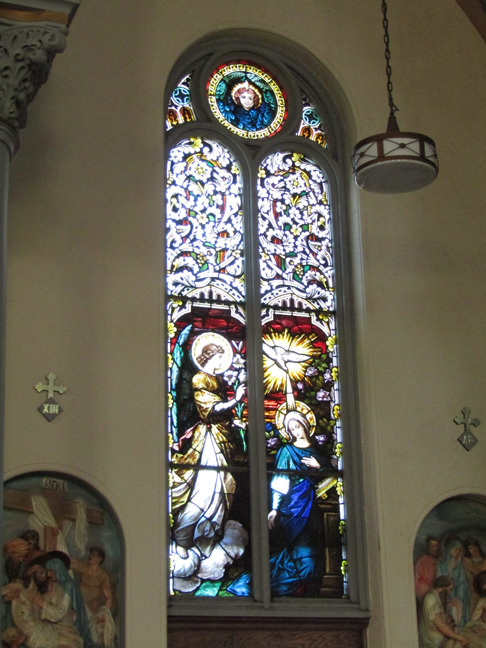 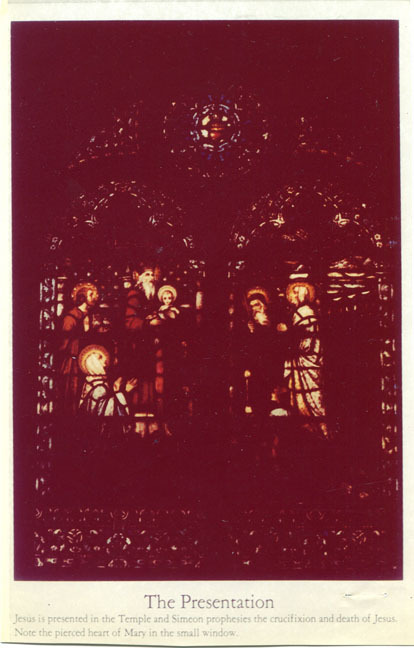 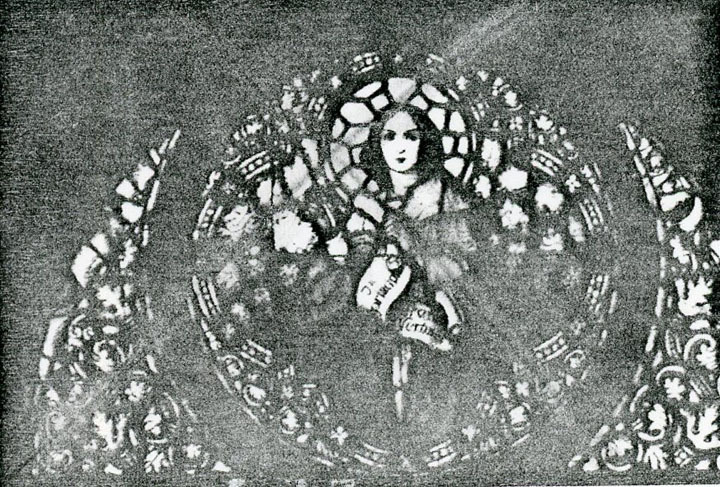 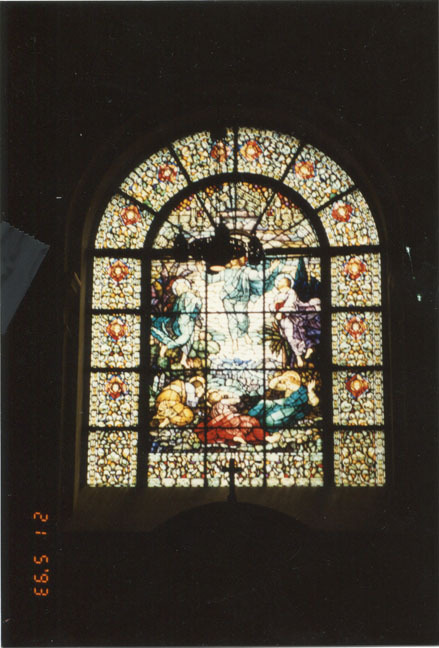 Window Name: The Ascension of the Lord into Heaven.